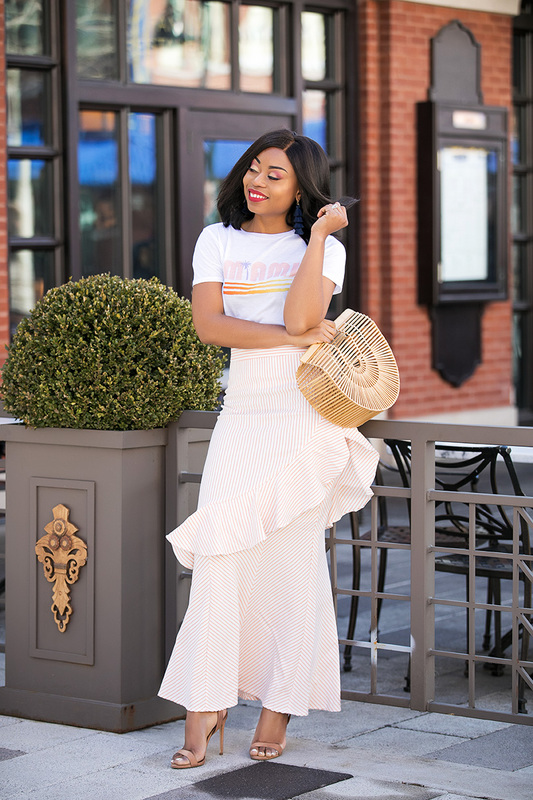 With the warmer temperate today and the weekend, I couldn't wait to style this ruffled maxi skirt. Ruffles add a fun feel to looks and this Eva Mendes collection ruffled maxi skirt is no exception. 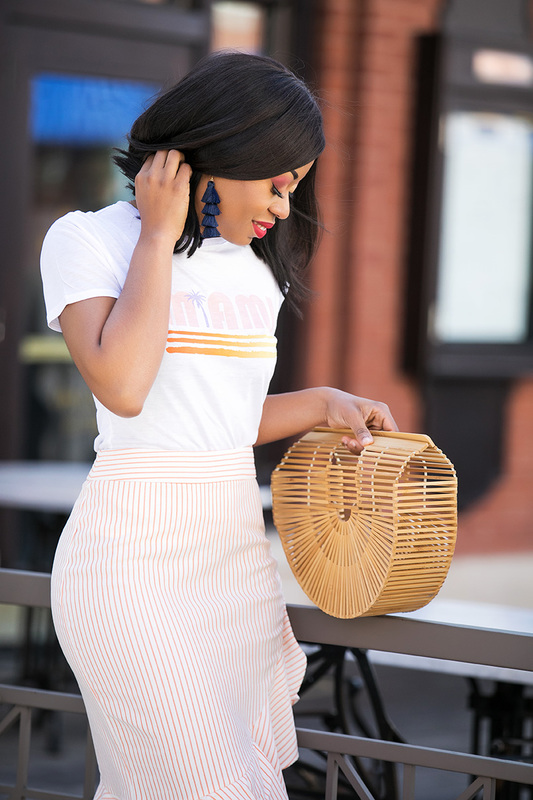 Love the subtle stripe color...it doesn't get any more spring/summer than this skirt! 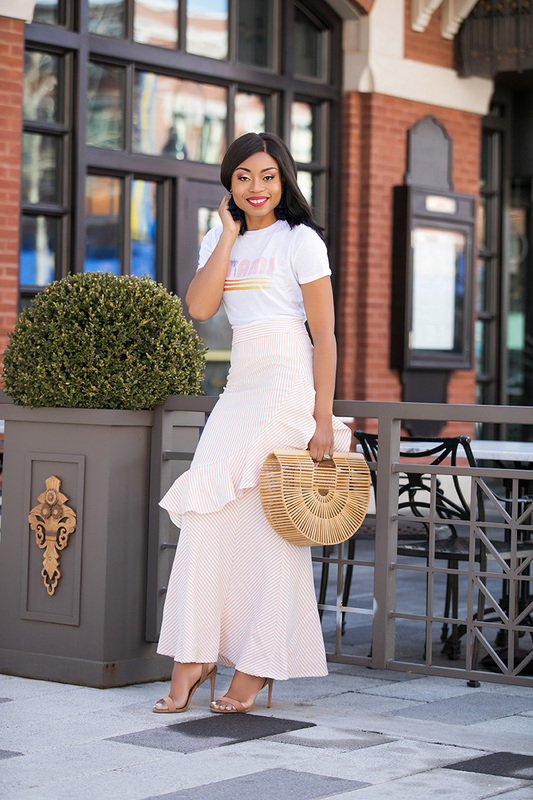 The maxi skirt is high-waisted and the fit is amazing. 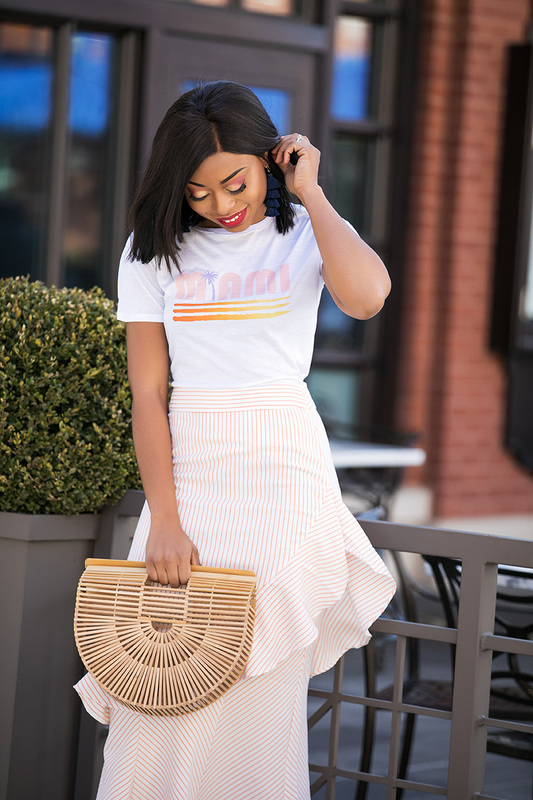 I paired it with this "Miami graphic tee" for a casual approach. 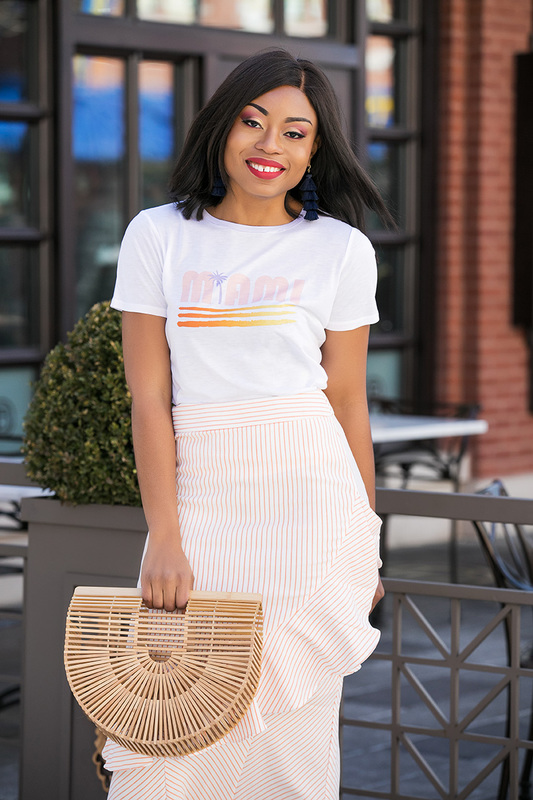 You can also pair it with button down shirt or blouse for a more formal appeal.